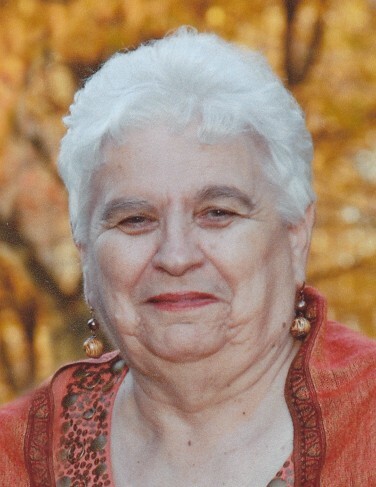 Beverly (Bev) Ann Felhofer, 81, of the Town of Sevastopol, was called Home to be with the Lord on the afternoon of Wednesday, September 12th, 2018. She was at home with her loving husband, Joseph, by her side. She was born Beverly Ann Metzger on September 24th, 1936 to the late Margaret Ann Metzger in Manitowoc Wisconsin. Beverly graduated from Lincoln High School in Manitowoc and was proud to share her school cheers with her family whenever she had the chance. On July 19th, 1958, she married Joseph F. Felhofer at St. Boniface Catholic Church in Manitowoc. While raising her three children and grandson, Bev worked outside the home as a housekeeper for Bay Shipbuilding Company corporate offices and as a cook at Glidden Lodge and many other restaurants in Door County. In 1995, she retired from The Hitching Post as a cook and became a stay at home grandmother once again, where she helped raise her granddaughter. Bev’s greatest joy came from watching her family grow. She enjoyed shopping, reading, word-search puzzles and a good card game with family. She especially loved watching the Milwaukee Brewers and the Green Bay Packers. Bev is survived by her loving husband of 60 years Joseph F. Felhofer; two sons, Keith “Buck” J. Felhofer of Sturgeon Bay and Joseph J. (Christie) Felhofer of Green Bay; two grandchildren, Joshua P. (Julie) Felhofer of Bonduel and Terre Ann Felhofer (Jake Luepke) of Green Bay; two great-grandchildren, Joseph Owen Felhofer and Erin Anna Felhofer of Bonduel; cousins, Kris Krizizke, Jackie DeBour (John Popp), Keith Meyer and Cheryl Meyer of Manitowoc; sisters-in-law, Joyce Zak, Susan Robinson, Betty Rozek and Rose Olson; nephews; nieces; and many friends. She is preceded in death by her mother, Margaret Metzger; daughter, Terre Ann Felhofer; daughter-in-law, Dawn Frederick; aunt and uncle, Richard and Doris Meyer; cousin, Rollie Krizizke; father and mother-in-law, Joseph and Francis Felhofer; brothers-in-law, Tom Zak, Rodney Robinson, Richard Rozek and Donald Olson. A Mass of Christian Burial will be celebrated at 11:00 a.m. on Monday, September 17, 2018 at SS Peter & Paul Catholic Church in Institute with Fr. Robert Stegmann officiating. She will be laid to rest in the church cemetery. Friends may call at Huehns Funeral Home in Sturgeon Bay from 4:00 p.m. to 8:00 p.m. on Sunday, September 16, 2018 with a parish wake service to be held at 7:45 p.m. Visitation will continue at the church on Monday from 10:00 a.m. until 10:45 a.m. Expressions of sympathy, memories, and photos of Beverly may be shared with her family through her tribute page at www.huehnsfuneralhome.com.